Bejewel yourself in this impressive Mughal inspired jewellery set in antique-M gold colour metal & golden champagne (lct); bejewelled with lusterous faux pearl and LCT (light colorado topaz colour) crystal diamante stones. 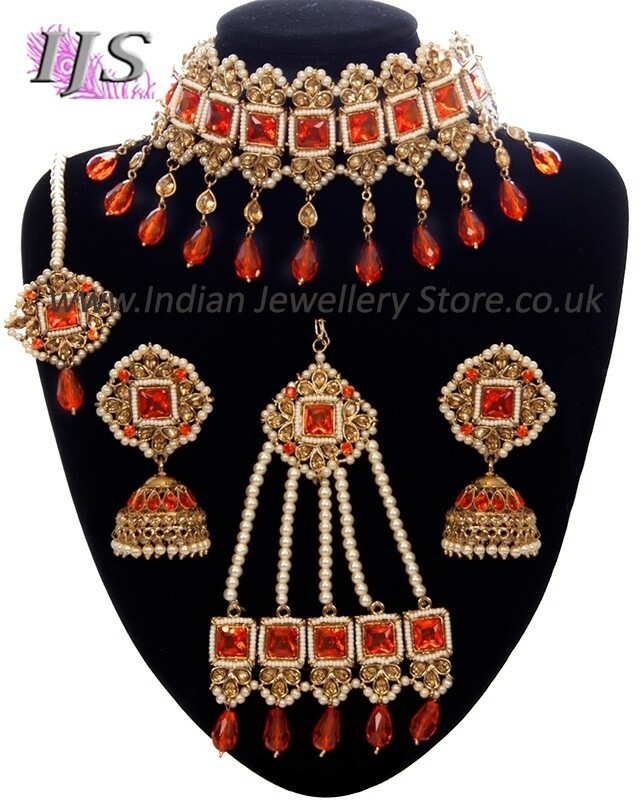 This beautiful Pakistani jewellery set includes a stunning Asian wide choker necklace, jhumki earrings, pearl maang tikka & traditional Jhumar head ornament. 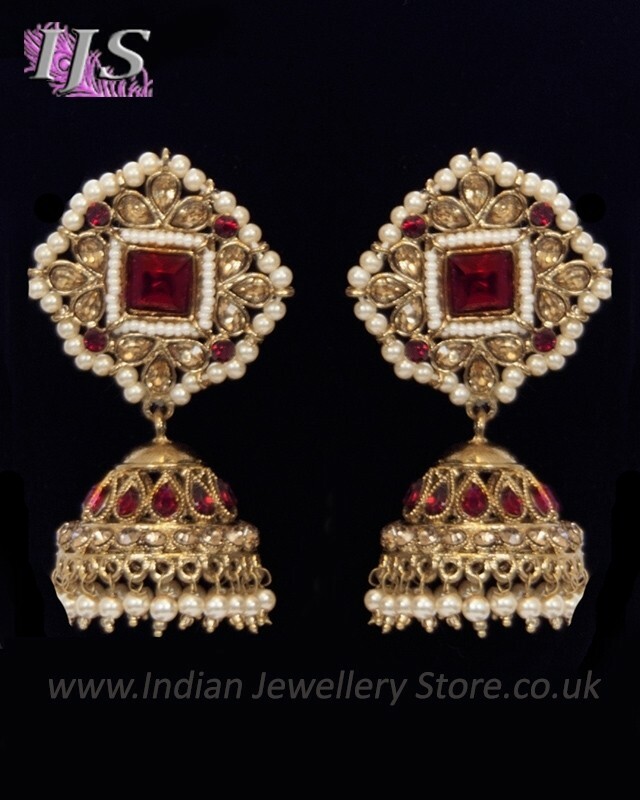 This Asian jewellery is adorned with princess cut coloured jewels. If you prefer a cleaner or less wide choker then we can remove the drops if you prefer please contact us after placing your order. 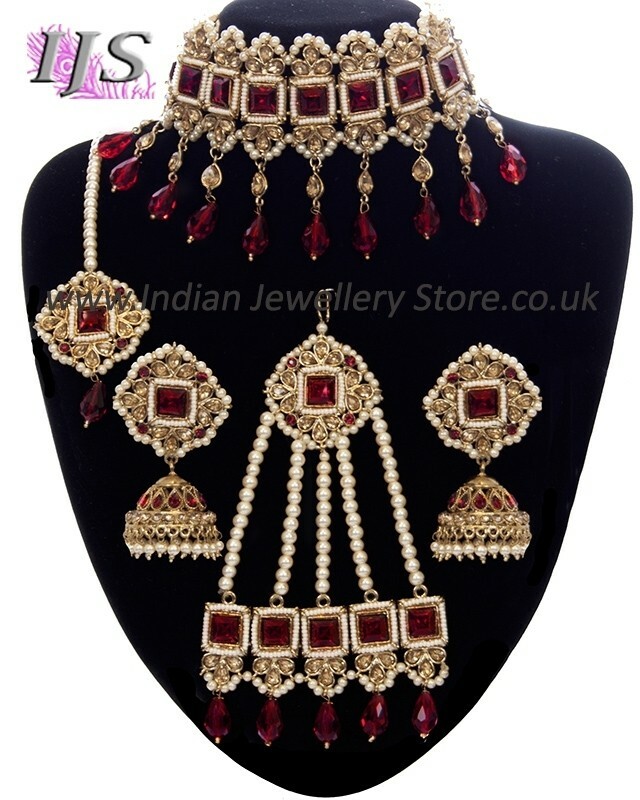 This stunning set is at unbeatably low price, so spoil yourself while stocks last! 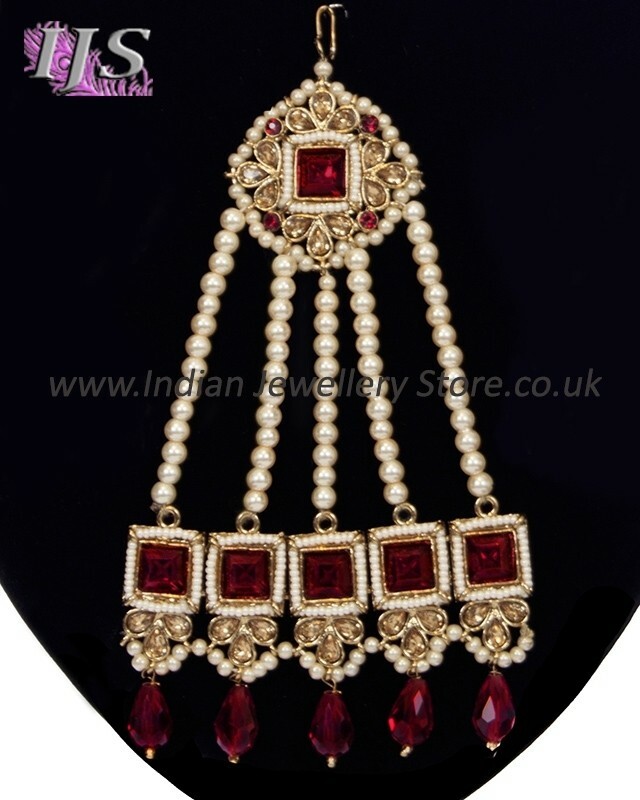 Dimensions are as follows: golden stone choker necklace is 4.5cm at the main neckband and the hanging drops are a further 4.0cm; the Sabyasachi inspired jhumka earrings are 4cm wide by 8cm to the bottom of the bell; the tikka is also 4cm wide; the jhumar is 9cm at the widest point and 15cm long.